Have you ever wondered, “what does God think of me?” How does he see me or feel about me? Unfortunately, two views of modern-day Christianity have distorted the truth of how God sees us. The first lie we tend to believe is that, because we are sinners, that is all God sees. Yes, you and I have done some pretty bad things, and we likely will do some bad things again. We are human and therefore not perfect. God knows this, but He still loves us anyway. This is hard for me to accept sometimes because I am naturally really hard on myself. God operates on grace; it really has nothing to do with what we’ve done, but everything to do with what Jesus did. We have been sanctified by the blood of Jesus, so now every bad thing we have ever done is washed away through repentance. Wherefore Jesus also, that he might sanctify the people with his own blood, suffered without the gate (Hebrews 13:12 KJV). You are not your sin, past or present. God has the mercy and grace to see beyond all that–even if the people around you can’t. Another lie that many Christians believe is that the Bible is pretty much mediocre. We make sure we get our chapter or two in everyday, memorize a few Psalms, and revere the Gospels. Somehow modern-day culture has managed to disguise God’s sacred scriptures as a common book. I’m not going to lie here–it can be hard to read the Bible sometimes. We all get busy, and sometimes it can be hard to understand given the fact that it was written in ancient times (which actually makes it pretty cool). However, if you want to know what God feels about you or how much He loves you, all you have to do is start reading! I will praise thee; for I am fearfully and wonderfully made: marvellous are thy works; and that my soul knoweth right well (Psalm 139:14 KJV). God made every part of you! Every hair on your head and freckle on your cheeks is numbered by Him. So the King will greatly desire your beauty; Because He is your Lord, worship Him (Psalm 45:11 NKJV). Ladies, I think the majority of us have all wanted a guy to dote on us and call us beautiful. Guess what? Our heavenly King Jesus desires our beauty! This whole Psalm is a metaphor of Christ and His bride, the church. God really is the best romance author of all time (see Song of Songs). As far as the east is from the west, So far has He removed our transgressions from us. As a father pities his children, So the Lord pities those who fear Him. For He knows our frame; He remembers that we are dust (Psalm 103:12-14 NKJV). These verses are so awesome! Not only has Jesus washed away our sins completely from us, but we can’t even fathom how far gone they are. God is our father, and he cares about us. He has mercy on us because we are His precious children! He knows our bodies and how fragile we are. The Psalms alone are powerful enough to bring us to tears over how much God loves us. Let’s dive into the Word of God in order to fully grasp who He is. Ever since I was a little girl I wanted to be a Disney princess. I wanted to wear a beautiful ball gown and fall in love with my prince charming who would protect me and take me on a grand adventure. But you know what, we are Disney princesses! Jesus is our King, and He loves us. 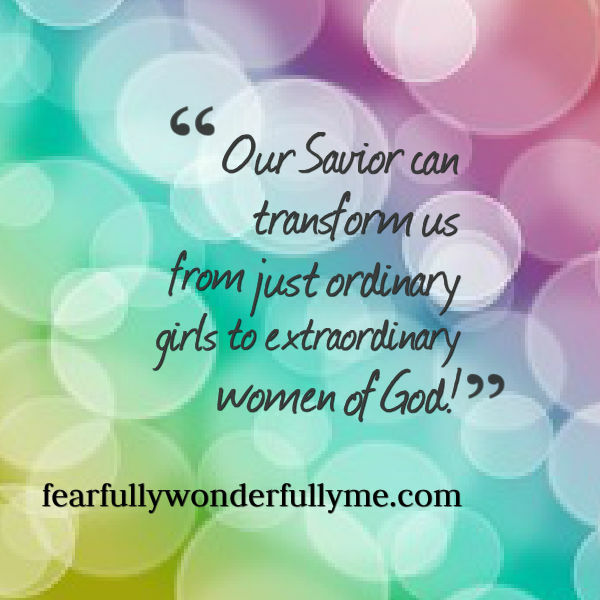 Our Savior can transform us from just ordinary girls to extraordinary women of God! He has an awesome plan for our lives if we only surrender them to Him. Do not forget who you are, lovely reader. No matter who you are or what your age, God loves you inside and out. And He is beckoning you to explore His word so He can show you His majesty. Princess Leia is awesome! Plus, now that Disney owns Star Wars technically she is one! Thank you! One of my favorite devotionals is His Princess Bride by Sherry Rose Shepherd. It inspired me to write this! I love this! Sometimes I find reading the bible hard, but it’s always worth it! Isn’t it funny that we both kind of wrote about similar things again, I just did a post about the frozen princesses. Oh yeah! We are twins lol. And yes I struggle with it too sometimes until I get into it.